If you have lost many teeth, or all of the teeth in a row, or if you need a temporary replacement for a missing tooth, dentures may be the solution for you. Removable or permanently attached dentures provide an attractive, stable, and functional replacement for lost teeth, restoring your ability to speak and eat normally and giving you a natural looking smile. We may recommend dentures for you if you need to replace an entire row of teeth, if your jawbones will not support dental implants or bridges, or if you need a temporary replacement for a lost tooth while you are waiting for a more permanent replacement or while you are undergoing a procedure to place a dental implant. TranscenDental Group provides consultation and fittings for both temporary and permanent dentures. When you have lost an entire row of teeth, a full denture is necessary to provide replacement teeth. To produce a full denture, we carefully assess your mouth and jaws and then create a denture that fits your mouth comfortably and looks natural. Properly fitted modern dentures can be indistinguishable from natural teeth, allowing you to restore a beautiful smile. 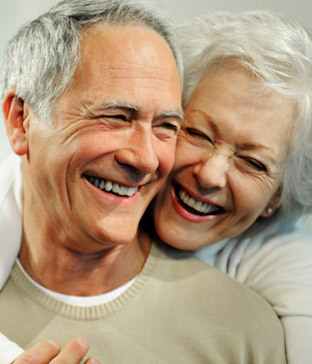 Full dentures are available in removable or permanent styles. 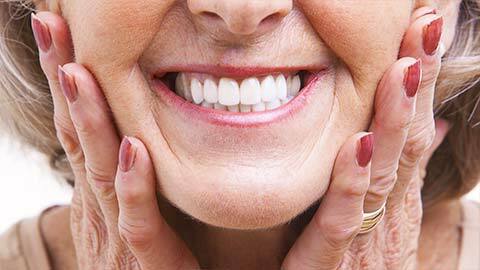 Removable dentures are placed in your mouth and can be held in place with denture adhesive if necessary. 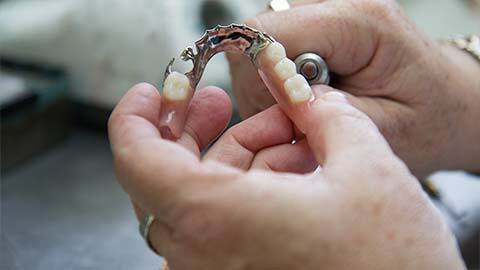 Permanent dentures are permanently attached to a series of dental implants that are placed along your jawbone. You may be a candidate for permanent dentures if there is enough healthy bone in your jaw to properly support the implants. Partial dentures are used to replace one or more missing teeth with an artificial replacement tooth (or teeth) mounted on a removable denture plate. Partials are an affordable option to provide a natural looking replacement for missing teeth. If you are missing one or many teeth and you would like to learn more about how dentures can restore your smile, give us a call today.